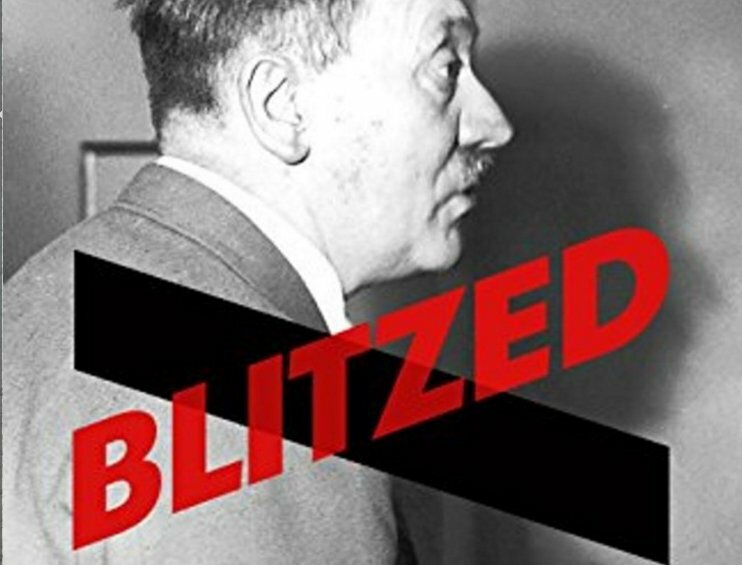 Novelist Norman Ohler became fascinated with the Third Reich's reliance on opiods and methamphetamines when DJ Alexander Kramer mentioned it to him in passing; he set out to write a novel, but in Blitzed: Drugs in the Third Reich he produced what historian and authority on the Third Reich Ian Kershaw called "a serious piece of scholarship." Ohler worked from the papers of Dr Theodor Morell, Hitler's personal physician, who supplied Hitler with quantities of Pervitin (AKA crystal meth) and Eukodal (AKA oxycodone). In parallel with Hitler's increasing reliance on these drugs, the Reich adopted a policy of prescribing meth and oxy to the citizenry and the soldiery, with women being advised to take two or three meth-laden Hildebrand chocolates ("always a delight") to help with their housework and weight-loss. Pervitin was "National Socialism in pill form." Dr Otto Ranke, director of the Institute for General and Defence Physiology, believed that meth "made sleep unnecessary" and worked for 50-hour stretches, and he told army doctors to give the soldiers "one tablet per day, two at night in short sequence, and another one or two tablets after two or three hours if necessary." The blitzkrieg was fuelled by meth, from the pilots to Rommel's tank commanders, and the Wehrmacht drew up plans for one-man U-boats who'd sail up the Thames without any relief pilots, eating drugs to stay awake for days at a stretch. Not meth, though: the generals wanted the U-boat commanders to chew cocaine chewing gum, which was tested on concentration camp prisoners who were made to chew the gum and walk until they dropped from exhaustion. The coke chewing gum turned out to be incompatible with immobilizing marines in tiny metal underwater tubes -- the U-boat pilots suffered psychotic meltdowns. Morell treated Hitler (and later, Mussolini) with incredible doses of oxy and meth, and supplemented Hitler's regime with cocaine. This had such an obviously terrible effect on Hitler that the Reich's top power-brokers did everything they could to remove Morell, but Hitler wouldn't let them. Between drug infusions, Hitler would be "so frail he could barely stand up," then he'd be up and about, even playing tennis. When the Allies bombed the Reich's main meth factory, Hitler -- and the Reich -- went into withdrawal. Hitler's health was so bad that later historian speculated he had Parkinson's.